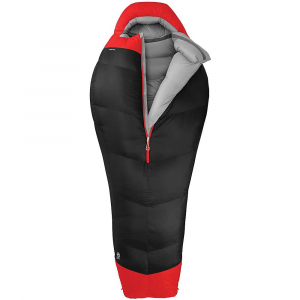 A spectacular sleeping bag. 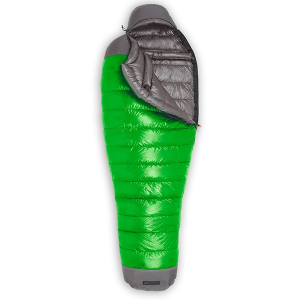 Packable, light, and unbelievably warm. In every review I try to find good things and bad things to say. 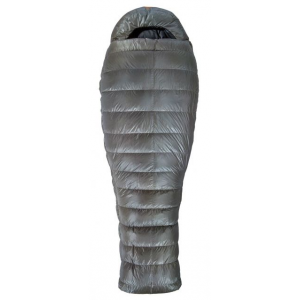 I had a hell of a time coming up with anything bad to say about this sleeping bag. I am a very cold sleeper. I've tried all the tricks: eating prior to sleep, hot water bottles in the footbox, layering, blah blah blah. I just sleep cold. I have never been anything but toasty warm in this sleeping bag. The Z-10 is somewhat constricting for me, but I'm a sprawler and a thrasher. If it wasn't moderately constricting it'd lose insulation value so I can't really knock it for this as it's a personal thing. 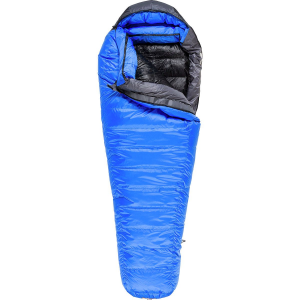 With its full-length double zipper, the Z-10 is very easy to get into and out of. The Z-10 has a pertex shell. Don't worry about sneezing on it. It's also a down bag. For the love of god, keep it out of that creek. The only bad thing I have to say about this bag is that it's a bit of a pain to stuff into the provided stuffsack. It can be done, but it lofts so well it can be a struggle to get it all in there. However, if this is a major selling point for you, I'd recommend giving up backpacking and spending your time playing pinochle. The zipper rocks. It's simple, effective, and doesn't easily snag. It's also a double zipper so you can create a vent hole all along the side of the bag if you get too warm. I never get too warm, though it's nice to know the option exists. 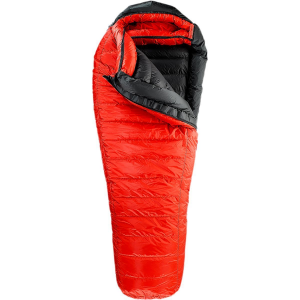 You can also unzip the entire bag and use it as a quilt, though at 3 lbs, that is one seriously heavy quilt. This is a new product so I can't really comment on durability, though the bag seems very well constructed. It's cheap. For an 800 fill -10 degree rated bag, $400 is a steal. I've used this bag during winter/spring 2013 in the Colorado mountains. I like it so much I have taken to standing on my front lawn, holding it in the air and cheering/screaming "wahoo!" at passing motorists. The GoLite Z -10 Four-Season is not available from the stores we monitor. It was last seen July 8, 2014	at GoLite.com.